One of my favorite foods is pork chops! When I was pregnant with my youngest daughter, Pieface (no, that’s not her real name), I would ask my parents a few times a week if they would make me pork chops. I had the biggest aversion to raw meat and I had a hard time cooking, but I could eat the heck out of it when it was cooked!! Thank goodness my parents lived less than two miles away during that time! 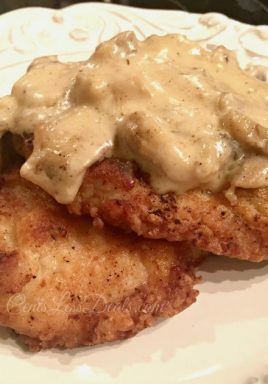 This is one of those pork chop recipes that I cannot get enough of! 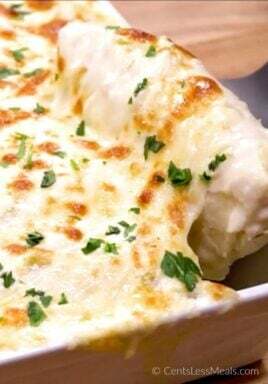 It’s easy to make, and it’s really good! I hope you enjoy it too! 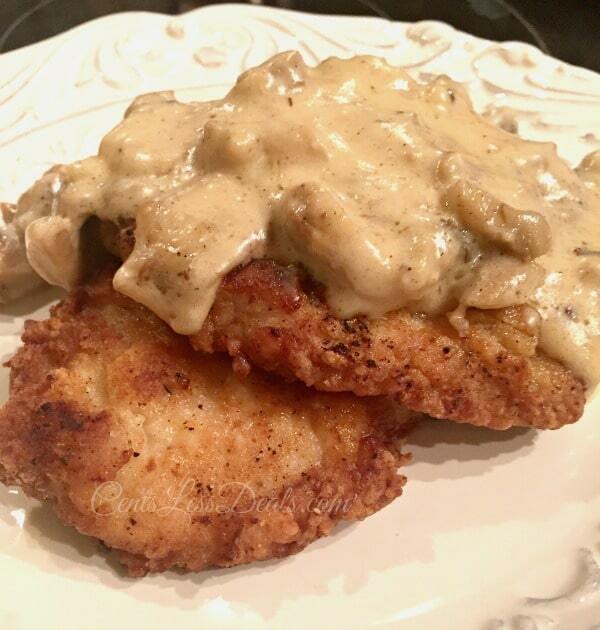 Tender pork chops in a creamy mushroom gravy is perfect served over mashed potatoes. Dip pork chops in beaten eggs. Combine flour, salt, cayenne pepper and garlic powder on a plate. 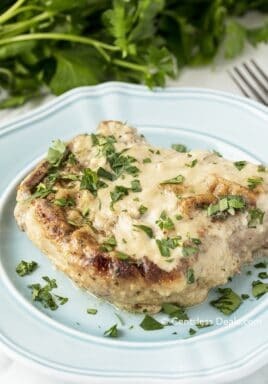 Dip pork chops in egg and then flour mixture. Heat 1 tablespoon olive oil in a skillet over medium heat. Brown pork chops on each side, about 2-3 minutes. Place pork chops in a 9 x 13 baking dish. Slice onions and layer on top of pork chops. Layer mushroom pieces on top of the pork chops and onions. In a medium sized mixing bowl, mix together cream of mushroom soup and evaporated milk. Once combined, pour cream of mushroom mixture over the top of pork chops. Dop pork chops in eggs ? What is a Dop ? 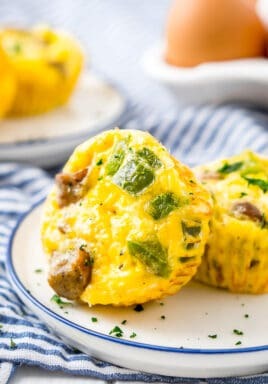 Dip pork chops in eggs.